Charles Richet – French physiologist. A French physiologist who won the 1913 Nobel Prize for Physiology or Medicine for his discovery of and coining of the term anaphylaxis, the life-threatening allergic reaction he observed in a sensitized animal upon second exposure to an antigen, Charles Richet was born on 26 August 1850 in Paris, France the son of Alfred Richet. His research provided the first evidence that an immune response could cause damage as well as provide protection against disease. During his career, Richet helped to elucidate problems of hay fever, asthma, and other allergic reactions to foreign substances and explained some cases of toxicity and sudden death not previously understood. Richet devoted many years to the study of paranormal and spiritualist phenomena, coining the term “ectoplasm”. He also believed in the inferiority of blacks, was a proponent of eugenics and presided over the French Eugenics Society towards the end of his life. The Richet line of professorships of medical science would continue through his son Charles and his grandson Gabriel. 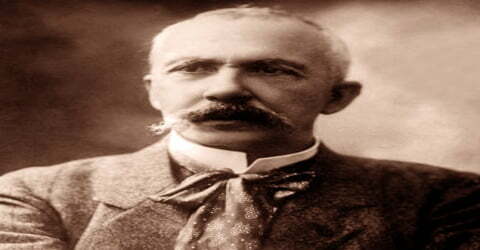 Gabriel Richet was one of the great pioneers of European nephrology. Richet was also a noted pathologist, bacteriologist, and medical statistician. His other research works include examining the physiology of respiration and digestion, regulation of body heat, epilepsy and work on parapsychology. He aided in elucidating issues like asthma, hay fever and many other allergic reactions caused due to exposure to foreign substances and analyzed and clarified cases related to toxicity and unexpected deaths not comprehensible earlier. He was a member of the ‘Académie des Sciences’ and served as President of the ‘Society for Psychical Research’ in the UK. He became honorary president and later full-time president of the ‘Institut Métapsychique International’ in Paris. He was also an enthusiast of art and literature and achieved acclamation as a distinguished playwright, novelist, and poet and also had a great interest in hypnosis and extrasensory perception. He remained editor of the scientific journal, ‘Revue Scientifique’ for over two decades and co-editor of ‘Journal de Physiologie et de Pathologie Générale’. He was conferred with ‘Cross of the Legion of Honour’ in 1926. Charles Richet, in full Charles-Robert Richet, was born on August 26, 1850, in Paris to Alfred Richet and Eugenie, née Renouard. His father was a Professor of Clinical Surgery in the Faculty of Medicine in Paris. Richet completed his studies in Paris and received his Doctor of Medicine in 1869. He had an interest in literature and during his youth whenever he got bored with anatomy and surgery, he used to indulge himself in writing poetry and drama. As a student, he assisted surgeons namely Aristide Auguste Stanislas Verneuil and Léon Clément le Fort. Richet spent a period of time as an intern at the Salpêtrière hospital in Paris, where he observed Jean-Martin Charcot’s work with then so-called “hysterical” patients. In 1872, while still studying, Richet became an interne des hôpitaux at the ‘Salpêtrière’ hospital in Paris. Richet was inducted as in charge of a female ward where he witnessed works of French neurologist Jean-Marie Charcot on hysterical patients. After observing the hypnotic experiments, he took an interest in the subject and produced many such hypnotic trances in his patients for the next couple of years. Presumably, these experiments and know-how influenced him to dedicate himself in physiology instead of developing a career in surgery. The term ‘metapsychism’ was coined by him. Charles-Robert Richet married Amélie Aubry in 1877 and the couple was blessed with five sons and two daughters. Richet was a proponent of eugenics, advocating sterilization and marriage prohibition for those with intellectual disabilities. He expressed his racist and eugenist ideas in his 1919 book La Sélection Humaine. From 1920 to 1926 he presided over the French Eugenics Society. Psychologist Gustav Jahoda has noted that Richet “was a firm believer in the inferiority of blacks”, comparing black people to apes, and intellectually to imbeciles. Serving as an intern at the Salpêtrière hospital in Paris, in 1873, Charles Richet was placed in charge of a female ward, where he witnessed a hypnotic experiment. Over the next two years, he produced numerous hypnotic trances in his patients, publishing a summary of his experiences in 1875. The characteristic behavior of hypnotic subjects, he argued, could not be explained away as simulation. The basic phenomena of a hypnotic trance followed as regular a course as a disease. The more often a person is placed in a hypnotic state, Richet observed, the more distinct the hypnotic phenomena become. During 1876-82, Richet worked in the labs of Pierre Eugène Marcellin Berthelot and Étienne Jules Marey at the ‘Collège de France’ and thereafter in the lab of Edmé Félix Alfred Vulpian at the ‘Faculty of Medicine’. In the lab of Charles Philippe Robin, he made investigations related to histology. He worked in a Paul Bert directed marine biological station and examined digestion in fish. Between 1876 and 1882 Richet worked extensively in the laboratories of Jules Marey and of Marcelin Berthelot at the Collège de France, and of Alfred Vulpian at the Faculty of Medicine. He also made histological examinations in the laboratory of Charles Robin and studied digestion in fish at a marine biological station directed by Paul Bert. Richet never worked under the direct supervision of Claude Bernard, yet Bernard probably exerted a decisive influence, especially in terms of general orientation. He was influenced especially by Bernard’s view of the relation between physiology and pathology, by his toxicological studies, and by his generalization that a poison introduced into the blood must act upon a specific tissue. Despite his switch from medicine to physiology, Richet continued to be involved in medical problems. In 1878 Richet became a Doctor of Sciences. Through his doctoral thesis, he showed that the sensory nerves that lack blood supply slowly die from the periphery towards the center. From 1878 to 1902 he served as editor of the scientific journal, ‘Revue Scientifique’. He repeated the research work on human digestion conducted by famous US surgeon William Beaumont, who became renowned as “Father of Gastric Physiology”. In 1898, Richet became a member of the Académie de Médecine. In 1913, his work with Paul Portier on anaphylaxis the term he coined for a sensitized individual’s sometimes lethal reaction to a second, small-dose injection of an antigen won the Nobel Prize in Physiology or Medicine. The research helped elucidate hay fever, asthma and other allergic reactions to foreign substances and explained some previously not understood cases of intoxication and sudden death. In 1914, he became a member of the Académie des Sciences. Richet worked extensively for years on body heat and the function played by the central nervous system in temperature control. The system of thermoregulation in homoiothermic animals was examined by him. Not much was known about procedures applied by animals lacking cutaneous transpiration to protect them from overheating as well as to get warm from the cold stage prior to research work by Richet between 1885 to 1895 on shivering due to temperature and polypnea. From 1887 to 1927 he served as Professor of Physiology in the Faculty of Medicine at the ‘Collège de France’ in Paris. While pursuing research on therapeutics in November 1888 he demonstrated that vaccination of blood of animals against an infection prevents them from the infection and he used this principle to tuberculosis. On December 6, 1890, he first applied serotherapeutic injection on a human being. Further, in 1900 he showed that dogs suffering from tuberculosis could be cured by feeding them raw meat and milk. Richet had many interests, and he wrote books about history, sociology, philosophy, psychology, as well as theatre and poetry. He was a pioneer in aviation. He was involved in the French pacifist movement. Starting in 1902, pacifist societies began to meet at a National Peace Congress, often with several hundred attendees. Unable to unify the pacifist forces they set up a small permanent delegation of French Pacifist Societies in 1902, which Richet led, together with Lucien Le Foyer as Secretary-General. In 1888 Richet and Jules Héricourt examined an epithelial tumor of a dog and found out a new type of Staphylococcus bacterium in it. They developed a pure culture of the bacterium by adopting the standard strategy followed since experimenting of fowl cholera by renowned French chemist and microbiologist Louis Pasteur. While conducting experiments he observed that a dog that he injected sea anemone (Actinia) toxin for protection could stand the antigen. However, a second dose given after three weeks developed anaphylaxis in the dog. Thus when harmful and fatal responses resulted on second exposure of the antigen rather than causing prophylaxis that is prevention, in 1902 he coined the word ‘aphylaxis’ for the life-threatening allergic reaction, where ‘a’ denotes without and ‘phylaxis’ denotes protection. The term was later altered to anaphylaxis. In 1891, Richet founded the Annales des sciences psychiques. He kept in touch with renowned occultists and spiritualists of his time such as Albert von Schrenck-Notzing, Frederic William Henry Myers and Gabriel Delanne. In 1898 he became a member of ‘Académie de Médecine’. In 1905 Richet obtained an increased sensitivity by repeated injections of morphine, and in 1907 he extracted from mussels a poison similar in its effects to congestin. Meanwhile, other investigators were finding that nontoxic albuminous substances, such as blood serum, could also cause anaphylactic phenomena. Inoculations of bacteria produced highly specific anaphylactic reactions to further inoculations with the same microbe. The anaphylactic response to blood serum turned out also to be specific for the species of the donor animal. Thus anaphylaxis was soon revealed to be a phenomenon of broad scope with potentially crucial consequences for medical practice. He became the president of the Society for Psychical Research in the UK in 1905. The term ‘ectoplasm’ was coined by Richet who experimented with the likes of William Eglinton, Elisabeth D’Espérance and Eva Carrière. In 1907 Richet started to develop a general theory of anaphylaxis which was based on observations made by him and his colleagues. His research work on anaphylaxis aided in elucidating diseases like asthma and allergic rhinitis as also other allergic reactions to foreign substances. The research also helped in explaining some cases related to intoxication and sudden death, which remained incomprehensible earlier. The ‘Académie des Sciences’ inducted him as a member in 1914. In 1911 Richet reviewed the development of research on anaphylaxis in a monograph in which he assimilated the work of other investigators into the framework set by his own. He could already claim with justification that “the domain of anaphylaxis is very vast,” and he could realistically portray that domain as emerging principally from his discovery. By 1913 its scope had become well enough recognized so that Richet was awarded a Nobel prize for his part in it. In 1917 Richet became co-editor of ‘Journal de Physiologie et de Pathologie Générale’. Many papers on physiology, experimental pathology, pathological psychology, normal psychology, physiological chemistry, and several research work that he conducted in the physiological lab of the Faculty of Medicine, Paris was published by him. 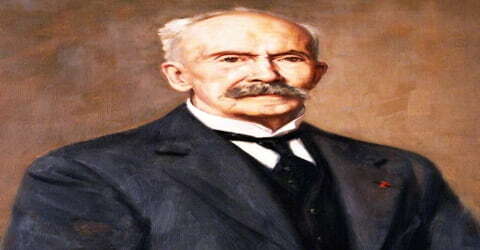 Charles Richet was inducted by the ‘Institut Métapsychique International’ in Paris as the honorary president in 1919 and became full-time president in 1929. Some of his works on parascientific subjects are ‘Treatise on Metapsychics’ in 1922, ‘Our Sixth Sense’ in 1928 and ‘The Great Hope’ in 1933. He had a profound interest in literature and wrote several books on history, many of which were issued with pseudonym Charles Epheyre. He also penned down poetries, dramas, novels, and philosophical works. In 1954, the Society for Psychical Research member Rudolf Lambert published a report revealing details about a case of fraud that was covered up by many early members of the Institut Métapsychique International (IMI). Lambert who had studied Gustav Geley’s files on the medium Eva Carrière discovered photographs depicting fraudulent ectoplasm taken by her companion Juliette Bisson. Various “materializations” were artificially attached to Eva’s hair by wires. The discovery was never published by Geley. Eugéne Osty (the director of the institute) and members Jean Meyer, Albert von Schrenck-Notzing and Richet all knew about the fraudulent photographs but were firm believers in mediumship phenomena so demanded the scandal be kept secret. 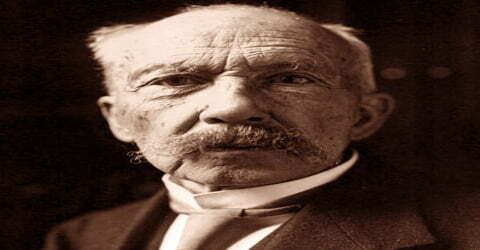 Charles Richet received the ‘Nobel Prize for Physiology or Medicine’ in 1913. In 1905, Richet was named the president of the Society for Psychical Research in the United Kingdom. In 1926 Richet received the Cross of the Legion of Honor. 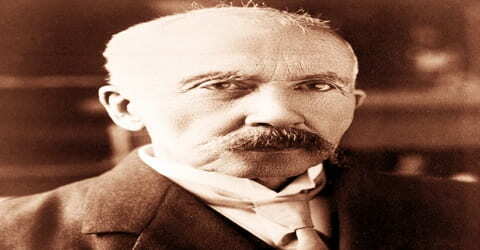 On December 4, 1935, Charles Richet passed away in Paris. He was 85 at the time of his death. For 24 years Richet edited the Revue Scientifique. He is known for his investigations into the physiology of respiration and digestion, as well as epilepsy, the regulation of body heat, and a wide array of other subjects, including parapsychology. 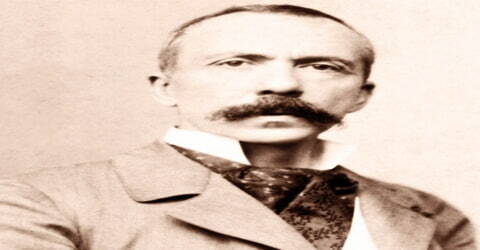 He also was distinguished as a bacteriologist, pathologist, medical statistician, poet, novelist, and playwright.